Grey Knights Captain- Senior officer, and are the chapters foremost warriors. 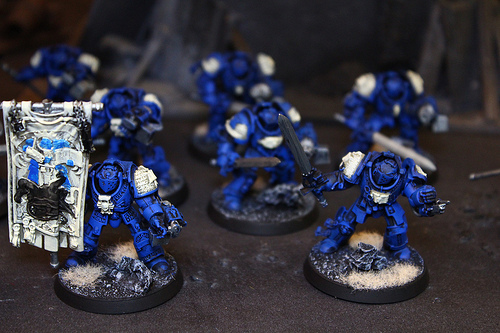 Justicar- Lead the latest recruits to the Grey Knights. Battle-Brother- Equipped with the suit of Aegis Armour and are vying to develop there skills and rank up.